A plastic keyboard reproduced from the original. the fabric for the upholstered stool. 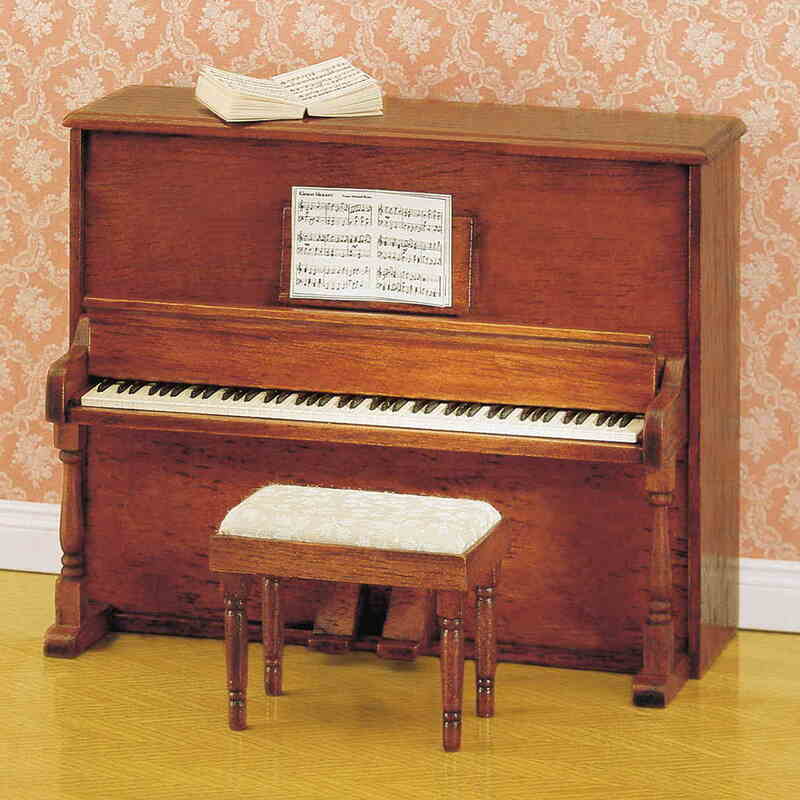 The piano construction kit and stool are made from natural wood. The construction kit consisting of more than 70 natural wood parts recreates the life-size model down to the detail. Even the gold-plated brass casters are functional. Skill and patience are required to build this beautiful grand piano - but you and your friends will be impressed by the result! An plastic keyboard reproduced from the original and the fabric for the upholstered bench.